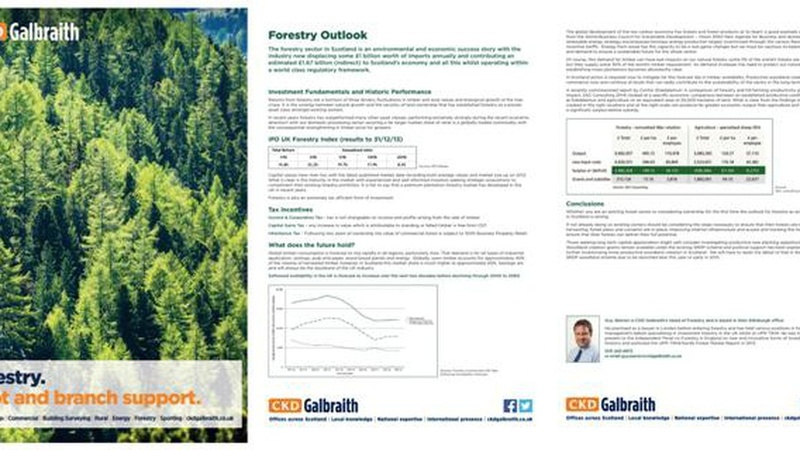 Our Forestry Outlook has been published and is now available to download or read online. The forestry sector in Scotland is an environmental and economic success story with the industry now displacing some 1 billion worth of imports annually and contributing an estimated 1.67 billion (indirect) to Scotland's economy and all this whilst operating within a world class regulatory framework. 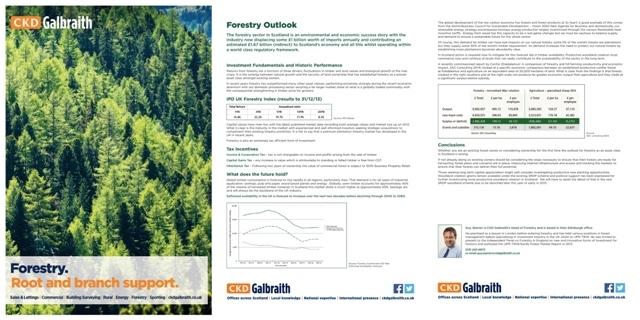 To read our full Forestry Outlook click here. Whether you are an existing forest owner or considering ownership for the first time the outlook for forestry as an asset class in Scotland is strong. For more information contact Guy Warren who heads up our Forestry team.